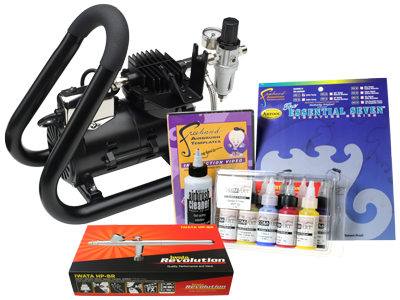 This Iwata kit contains everything you need to get started in airbrushing Art & Graphics, including an Iwata compressor, an Iwata Revolution BR airbrush with 0.3mm nozzle, Com-Art paints, airbrush cleaner, stencil and an instructional dvd. Click here for more information on Iwata airbrushes. 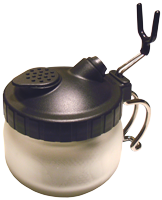 Please click on the contents of the set listed below for further details of each item. Please click here to view other art kits.